Sarah Allen Benton, MS, LMHC, LPC offers interior redesign and personal organization services that focus both on your mind and environment. Interior redesign is a cost-effective way to redecorate and integrate fresh decor in a home. Sarah combines her clinical mental health background with her passion for design and organization to provide this unique service for homes and beach houses. 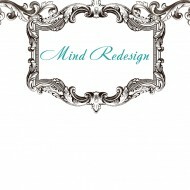 Please visit the Mind Redesign page for more information.